What better time than now to highlight the exciting upcoming middle grade novel about an adventurous Muslim girl written by a fierce, bravely outspoken Muslim woman? I love a good middle grade cover. The illustrations and bold colors and themes bring back so much nostalgia. This is definitely one I'd have grabbed quick as a kid. 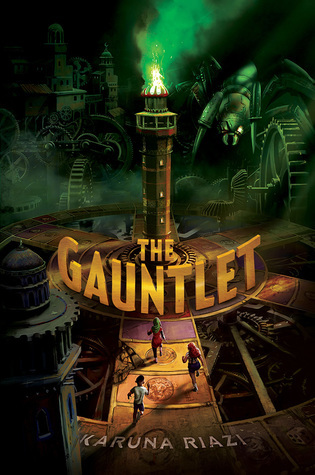 The mechanical game board and bold title are perfect visual representations of the book's action-packed premise. I love that sinister green looming over everything. You can already tell that this book is going to be vibrant and unique. And I love how the title text and author name fit into the image! That's one of my favorite design elements and it can be so hard to pull off, but this one nails it.